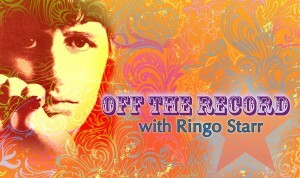 “Off The Record with Dave Stewart – Ringo Starr” was the second show of the projected series “Off The Record”. LightningBolt PIX helped New York production company Mark Mark Productions produce this show which was shot in Santa Monica. Michael W. Barnard DP’d the show and he, along with Boltpix staff, designed, co-directed, and handled much of the Post-Production for the Show Open. The show aired on HBO in May of 2008.